We all know the old saying, “the early bird gets the worm.” This saying is usually true in most aspects of life, including reserving your vacation rental. Benefits of booking early include getting that perfect house you’ve been eyeing, with the best amenities, in your most desired location. But what about the rest of us? The undecided, the procrastinators, the fly by the seat of your pants kind of people? We deserve a perfect vacation, too! Have no fear. There are benefits of booking last-minute abound! Sun offers ‘Last Minute Deals’ for up to twelve weeks in advance. Houses looking to fill-in gaps in their rental calendars, as well as last-minute cancellations, can sometimes lead to discounts of more than 20 percent, even in peak summer weeks! Instead of committing to a whole week, many of Sun’s vacation rentals offer partial stays, with a 3-night minimum. Guests can reserve these homes up to ten days in advance, just by calling our office and booking through one of our Vacation Specialists. When the weather forecast says “sunny and warm,” make your last-minute plans for a week or long weekend at the beach! Days are getting longer, and temperatures are climbing. Springtime on the Outer Banks means warm days, cool breezes and long stretches of beach to yourself. Life happens! Sometimes things don’t always go as planned. 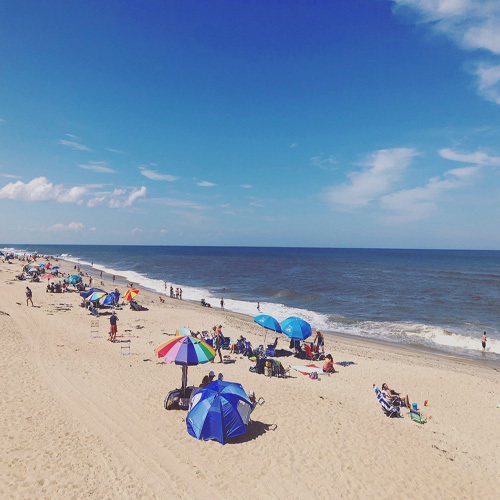 Booking your rental closer to your vacation date helps alleviate the stress of worrying about something popping up to deter you from your OBX getaway. Our wide selection of quality Outer Banks vacation rental homes means more options for your last-minute beach getaway! For the largest selection of vacation rentals from Carova to Hatteras, visit www.SunRealtyNC.com and book your Outer Banks vacation with Sun today!